Lamp Hardware for lamp making, repair and restoration. 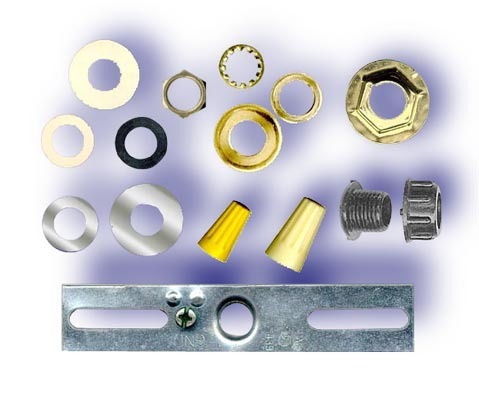 Includes nuts, washers, connectors, couplings, cord protectors and more. Large quantity discount pricing is available.